This year I got invited by Josh from Drive Marketing Group to display my GTR at the DUBR booth. I've gather up my friends, Mr Fujita from Garage Saurus and Hin, to have our cars displayed to complete the 3 generations of the godzilla! 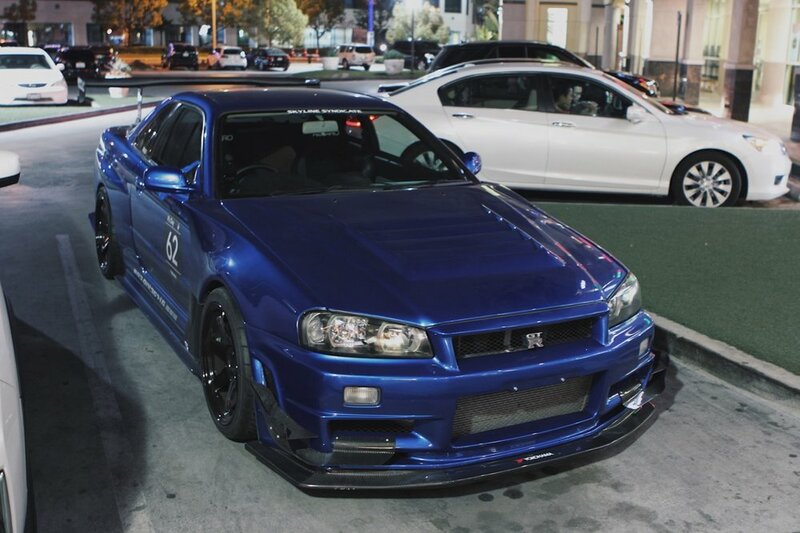 For those of you who follow my Instagram, my Blue R34 is currently going through a big heart surgery by Garage Saurus, so I had my daily drive V-spec II there for display. It was my first time having my car inside the Vancouver Convention Center displayed and it was really amazing. We had our free passes so I decided to visit the show on Saturday and this is where all the trouble began. Upon Arrival, Mr Fujita's QX4 has already parked and was waiting for me. Checking out our cars at the DUBR booth. We did a tour around the show and decided to head to dinner after. The car was having a slight hic-up on the way to the show and I was going to get it out the next day. However, 100m away from the show, my car stalled and I couldn't start it back up. We pushed it over to the side of the road and waited. 5mins gone by and I got the car started again. I was planning to drive it home. However, it stalled again in the next 100m. This time I know I wasn't going anywhere. It was around 8:30 pm and we called BCAA for a flat deck tow truck. 45 mins in, a regular tow truck showed up, but he immediately turned around and said a flat deck will be coming. At around 10:30pm, The flat deck finally arrived. It was a from a subcontracted towing company by BCAA. The tow truck driver simply had no idea on towing a lowered vehicle. He had his chain hooked up to my subframe and forced it up the deck. I immediately told him to stop and used the tow hook. With me sitting inside the car steering, all i heard was a loud crack when I got onto the ramp. The driver was showing frustration and I realized he didn't use any ramps to load the car. My front splitter was deforms and puling my bumper off my fenders. I was extremely upset at the whole situation and told the driver to please just unload my car off the deck and I will call someone else. The driver was angry and just pushed my car off the deck without any 2x4 and made the matter worse. He then told me he won't take my call again if I requested another flat deck from them. I called BCAA right away and explained the whole situation. They promised they will have their manager get back to me on this matter. Meanwhile, they were no more BCAA flat deck for the night until 6 am. I had an idea, why don't we remove the bumper so the regular tow truck and take it home! BCAA agreed and I had my friends go home and grab my jack and tools. 6 hours in, we finally had the bumper off. It was around 4c that night and we only had our sweaters on. Police frequently came by to question us. Finally at 2:30 am, BCAA sent us a regular tow truck. Our hope was up, but it turned out the dolley would hit the exhaust. At that moment, I was already prepared for the worst - I would have to wait here unitl the morning. There were lots of you who asked, why can't I just leave the car there and come back the next day. I can tell you, for the 4 hours there from 2-6 am, there were over 10 drunk, nosey guys who peeked and touched the car while we were waiting for the tow truck. Also why didn't I fix the car on the spot? If you were getting a phone call every 45mins from BCAA promising the next truck will get it done, you will not drive 35 mins back home to get the part. OH btw, it was the fuel pump thats failed. It was already 4 am by the time I figured out the problem. Anyhow, I was napping in my friend's EVO7 the whole night. I would like to thank him for staying with me from the beginning till the end. Also, Steve, for running back and forth for us to get the tools that we needed even though he had work the next day. It was a cold night and we had the engine idling for 4 hrs. At 6:30 am, we got a call from BCAA saying that a truck will be here in 5 mins. Thank God, I specificly ask for the BCAA flat deck and not the contracted one since they are more careful. With the bumper off, it only took the driver 10 mins to get the car ready to go. It was a relief and the night was finally over. It was the best sun rises I've seen knowing that I could go home and get a hot shower and sleep. Finally we got home, we pushed the car back into the garage and I fell asleep right after. 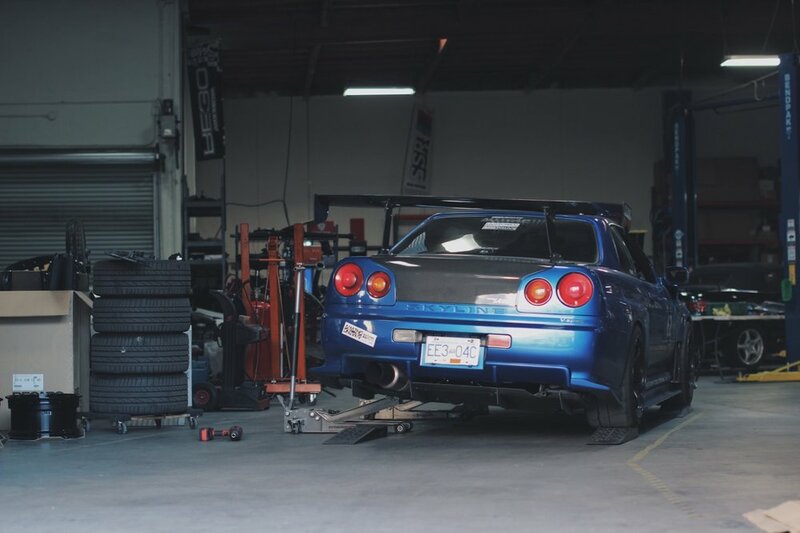 Get a GTR - it'll be fun they say. I am 31 this year and stuff like this makes me feel young again. I forgot, I had to pick up my wife from the airport at 10am. Yeah and I totally slept in. I think all of you who follow my blog are, no doubt, safety-conscious drivers. And it is obvious, because our build is our pride and joy and we try our very best to keep it protected. 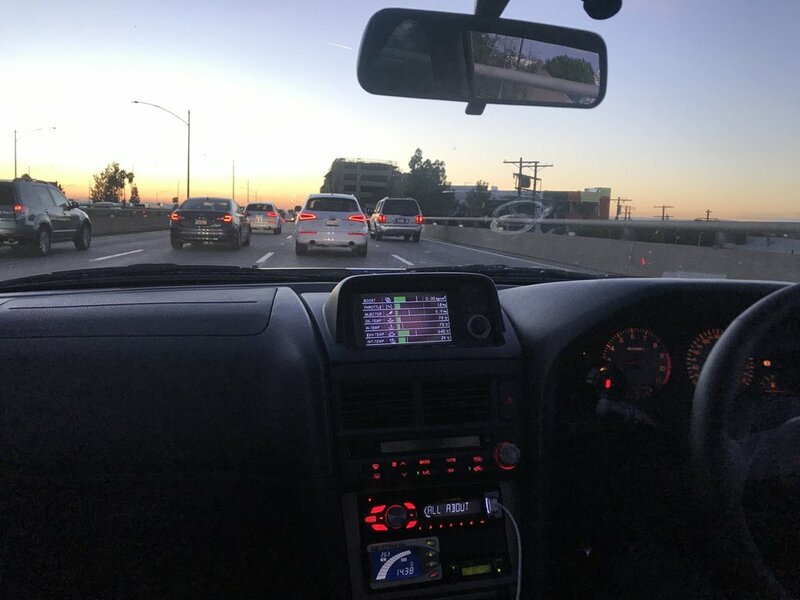 As for myself, I am a firm believer in dash cams because not only does it provide you with evidence when it comes to an accident dispute, I also enjoy rewatching our night runs with my crew. 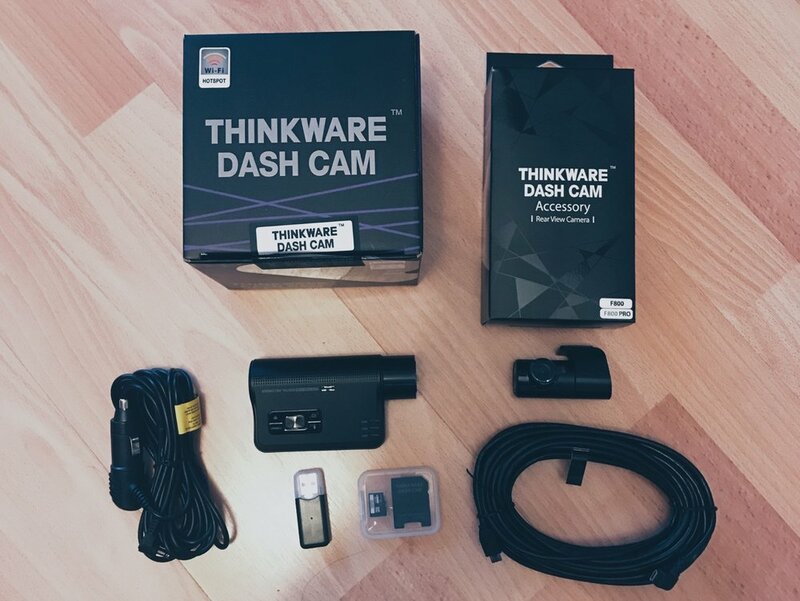 The dash cam package comes with everything you will need for an easy installation. There is the front and rear camera, 12V plug, USB cord and a hard wire kit. There are also different mounting brackets and 3M tape. Installation is very simple and it’s designed to fit most vehicles out in the market. It only took me 45 mins to have the front and rear camera installed and calibrated. The extra long usb cable that connects the front and rear camera will fit anything from a small K-car to a full size SUV. In terms of extra features, there are different recording modes from auto, manual to parking mode. The dash cam will automatically turn on once it’s powered. It will be on standby mode when the car is off to save your battery. The internal shock sensor will activate the camera if it detects any suddenly movement and will immedately start recording. There is also wifi connection to make downloading the video a much easier task than taking out the sd card and upload it to your computer. The F800 Pro feature are 1080P HD front camera with Super night vision 2.0. The 140 degree wide angle can also capture and very wide view. Here are images from the the dash cam front and back camera. I am very please with the dash cam. These are some of the things you don't need until you suddenly do. Drive safe everyone. If you like my articles, please share and comment below, our dash cam give away will start at Feb 27, 2018. 9am PST. Stay tuned! The wait is over, I've finally been able to update the last bit of my LA tour after my long trip in Asia! 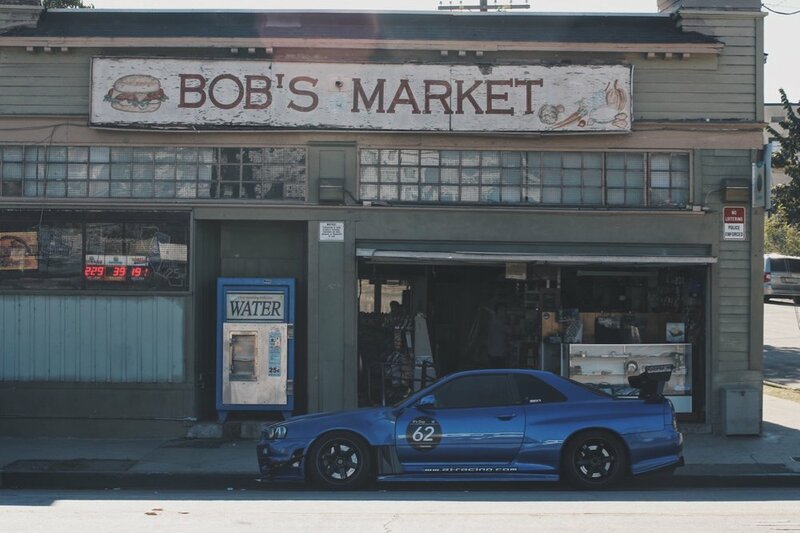 How can you not visit the Toretto's house and market while you are in LA. It was a 40 min drive from Playa Vista, which was where I stayed for the week. I bet all of you have watched The Fast and Furious series and I am sure all of you are familiar with the Toretto's house. It has been on my must-visit list for the longest time. I have read a lot of online reviews that the owner of this place will go absolute furious over tourists and visitors. I can only imagine how annoying it must be to have random people touring your house every single day. We decided to do just take some photos as quickly as possible without disturbing anyone. Luckily, no one came out with a shotgun at our face. -One thing off the bucket list. Hin and I were being the ultimate fanboys. After the quick photos, we decided to head to the market for some tuna sandwich. Unfortunately, they don't sell tuna no more so we bought water. The Market is 1 min from the house. I would assume that they would get a lot of business from the fan boys. In Los Angeles, how could you not take your time to tour around the city and visit a couple of the biggest shop you see in the world! I've made trips to ImporTuner, SuperStreet, Turbo magazine, and also Evasive motorsports. Since we were going take a 1900 km drive home from Los Angeles back to Vancouver. I decided to get a set of Yokohama AD08R 295/30R18 to replace the Nitto NT01. Thank you, Yokohama, for hooking me up with these tires under such short notice! I would like to thank Lerry from Skyline Syndicate and Tony at Evasive who took extra care of me during this trip. My car is way too low and with the under tray, it is almost impossible to jack up the car. Meanwhile, Tony gave us a tour around the shop. Seeing all these magazine/time attack cars in person really blew my mind. Here are the Lexus Demo car, hill climb to time attack R35 GTR. It was dark by the time we left and we were stuck in the famous LA traffic jam. Not a bad time to enjoy the sunset with my ATS twin plate carbon clutch. After having tacos all week, we decided to get some ramens at little Osaka. Before we head home. we detour to Santa Monica for some GTA styled photos. This post pretty much sums up my trip in LA! Thank you again for Skyline Syndicate, R's day for hosting such an amazing event and hospitality. After an amazing time spent at R's Day, Laguna Seca, we had to pack up right after to head down to our next destination - Los Angeles. 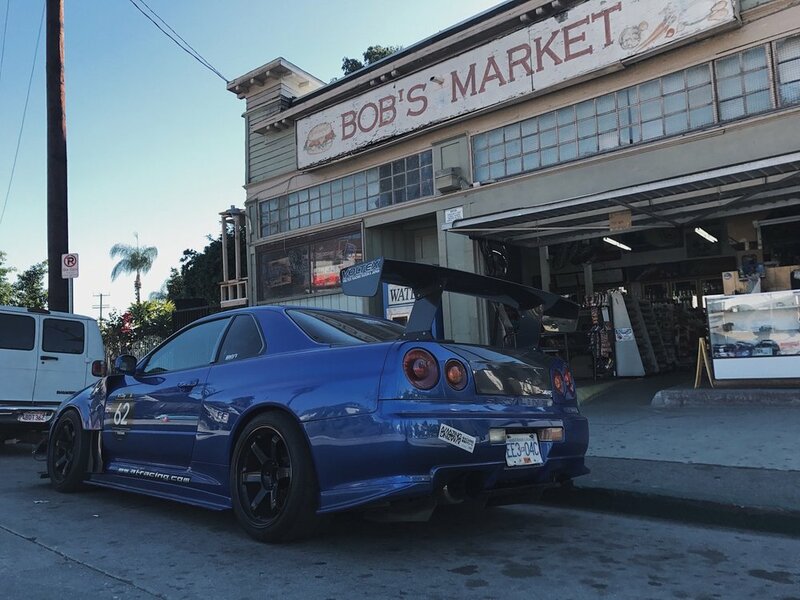 LA was a 5-6 hour drive from Monterey and it was definitely tough on everyone after spending a full day at the track event. We had three gas + meal stops inbetween and thanks to my co-drive ManHin, we made it to Irvine by 2am. I am ecstatic to share Part II of my R’s Day at Laguna Seca experience with you. Sorry guys for the delay in posting because the last couple of days in Los Angeles have been filled last minute shop visits and gatherings. Also, as you’ve followed our stories, we had to get our cars prep for the 21-hrs, non-stop drive back to Vancouver. But here we go, let’s relive the moments together through this gallery. Laguna Seca is one of the most popular race venues in the world because of its spectacular track layout and it has been my dream to bring my car there for a track event rooting from my GranTurismo obsession. And this December, I finally got my chance. I signed up for the R's day track event hosted by the Skyline Syndicate at Mazda Speedway Laguna Seca.